Is there a cancer diet? In this fifth episode of our podcast Lothar Hirneise and Klaus Pertl are talking about this big issue. We hope you will enjoy this podcast and we would love to get your view on this question. Klaus: Hello and welcome to our next podcast. This is a big one for us today, because that is a very important issue for us: Is there a cancer diet? Hello Lothar! And welcome to the podcast again. Lothar: And here, the answer is 100%, “yes”. And, and I even will change the question, “how can somebody believe that when we look to the history of nutritional therapies, how can somebody believe there is no cancer nutritional therapy?” When we go back in history, you find things about nutritional therapies already 100 years ago. And, especially in Europe, when you think about people like Dr. Max Bircher. You know, he opened in Switzerland already in Zürich already in 1904, he opened his hospital. But, what was his main therapy in his hospital? The main therapy was raw food. And to him, people from all over the world came already, this is more than 100 years ago. So, they came because they found out that he can cure people who are serious ill. At that time a lot of people came with tuberculosis, with lung problems. Then of course, all the cancer patients. Then a lot of people with serious heart problems came to him. With serious skin problems. And he was treating the patients and had this unbelievable great success. By the way Dr. Max Bircher he’s the guy who gave this famous Bircher Musli its name. Let’s jump to the 50s. We had this, this, especially two unbelievable people, um, Dr. Max Gerson and Dr. Johanna Budwig. Nutritional therapies where one was focusing more on juices and the other on flaxseed oil, milk and cottage cheese. They had unbelievable success rates. They had unbelievable cases. And they are documented. And so on and so on. So how can somebody believe that we don’t have a nutritional therapy? But for me you know, the good thing is, Klaus, I and you also, both of us, we don’t have to believe it. We have the big, big advantage: we know it. Lothar: How do we know it? Because we shaked hands with so many people who did Gerson diet or who did the Budwig diet and they became healthy. So I do not have to believe it. I, 100% know that there are very, very good nutritional therapies for different kind of illnesses, not only for cancer. Klaus: I agree, and I think also the issue comes due to the word ‘cancer diet’. What usually in conventional medicine is observed and measured is the cell death. And they looking for the substances that basically can kill a cell. And now, obviously the comparison they’re making is this: is this food – the mix of the food – and we use that, and put it in a petri dish where there’s cancer cells, will it kill the cell? And it won’t, so therefore, the assumption is probably, “there’s no cancer diet”. So, they looking still for substances that will kill something. And I think nutritional therapies have a different logic. They are wanting to increase the energy – coming back to the energy equation – they want to increase the energy in the body, so that.. normal regulation can take place again. And that, thereby, normal cell division can happen. So it is not a ‘killing’ strategy the nutritional diets are doing, it is a ‘strengthening’ strategy. Now they’re obviously two different philosophies again and theories if you like, but I think this is why it cannot be compared. Lothar: Klaus. You know what I can’t understand? That people are still thinking this way. They still think that a cell which is not using the oxygen like it did before, that you have to kill this cell. I want to give you an example. There are many studies done, which are showing that a cancer cell can go back to a normal healthy cell. For example, if you have a colon cancer cell, and you put a protein into it, called frataxin, and you know what happens with this colon cancer cell? It becomes a normal cell. So, in laboratory there are so many proofs, there are so many studies which are showing that a normal cell can become a cancer cell, and a cancer cell can become a normal cell. I really don’t understand why that kind of science is still being totally ignored. Even if it exists, you just go to Google, you put it in, and the results are there. Still the conventional doctors are doing and saying, “Oh, you have to kill the cancer cell”. I really can’t understand that. And of course Dr. Budwig for example, she wrote, I don’t know how many books and articles, she wrote describing what the problem is here. She wrote, that for example, “if you have a cell, and the cell has to do a cell division, a separation, when one cell becomes two cells. And then, you don’t have to right fats and sulphates and the cell membrane is not working correctly, then this one cell does not divide to become two cells. And this is what the Budwig diet is doing. The Budwig diet is not killing cells. No, it goes exactly the other way. The Budwig diet is trying that these cells, which are not dividing into two cells, that they divide again. And this is what I just don’t understand. And I can’t understand why they don’t understand this, because the science for this is already there. Klaus: Now Lothar, the two of us, we had this amazing opportunity and a super, super experience in meeting Dr. Johanna Budwig personally. And over her last four years in her life, and she was definitely an amazing woman, a genius. Not an easy person to live with, and to work with, and you, even managed to write two books with her, which is an outstanding experience itself, especially if you know Dr. Johanna Budwig. She was not an easygoing person. 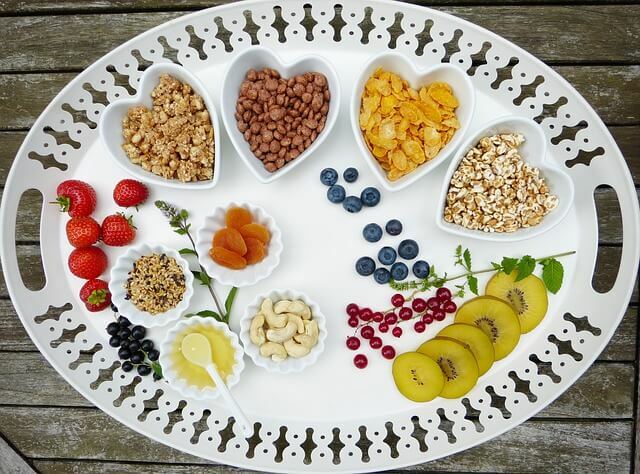 For all the listeners, who maybe do not know very much about Dr. Johanna Budwig, what would you say, what are the key components that makes up the Budwig diet. If you can explain that for a couple of minutes, so that the people understand the genius of her work and why it is so amazing and why it is something to definitely look at. Lothar: You know, I could talk about this for hours. Maybe what is the most genius thing here is, for me: it’s simple. And I think this is the biggest challenge most people are having. People like it to be more complicated. People they like to have it more – let me say – on a scientifical basis, and so on and so on. But, if there was one scientist, it was Dr. Johanna Budwig. She was a really an outstanding scientist and her whole life, nearly 95 years, she was a scientist from the morning until the evening. And what is so outstanding here? She was thinking about ‘what is cancer’. And then she found out all these problems, challenges, with transfatty acids, all these problems with the mitochondrias. All these problems with the cell membranes. And she thought about a solution. “What can we do? What is the solution for the whole thing here?” and you know, what was the biggest mistake she did? She found a nutritional therapy. Because the challenge is that doctors and, unfortunately also patients, they not believing in nutritional therapies. They believe more in infusions; they believe more what people are teaching at universities. And this is a big, big thing. If her Budwig diet would have been a pill or an infusion, then all over the world, they would do the Budwig therapy. But it’s far away from that. And this is the big thing, So in the end she found a way, how to change the cell membrane; she found a way to bring quite more energy into the body through lipoproteins. Lipoproteins for people who don’t know what this word means, a lipoprotein is a mixture of protein and fat of course, and she found a way to make this lipoprotein stable. That it can go into your mouth, into your stomach, into your colon, and then, into your cells. And how did she achieve this? She made it with quark, with flaxseed oil –flaxseed oil is really an outstanding thing, maybe in another podcast, we, we discuss more about flaxseed oil– so she used the quark, the flaxseed oil, you need milk – this is also very important – and also honey can help here a little bit. And this creation together makes this lipoprotein stable which then gives you the energy you need and which is changing the cell membrane, and which is changing the way how the mitochondrias are using oxygen. So, that’s it. The only challenge we have here, it’s “only” a nutritional therapy. Klaus: Yes, quite amazing, and because it is so simple people can’t believe that it’s working. And you’re absolutely right. It is just because of that, it is already downgraded, and in people, the perception of it, it can’t be something scientific, it can’t be something that is strong enough to help the body. And by the way, for all the listeners, we have a video out there on our YouTube channel, where we show you exactly how to make the morning quark the way we learned it from Dr. Johanna Budwig. https://www.youtube.com/watch?v=7nMCXHpz_vI And I think, just to clarify that point, Lothar.. in the last ten years, we were kind of like laying back and observing that a lot of people out there put videos out, how to make the oil quark mix, for their breakfast, and unfortunately, and this is why we just said no, you have to clarify that point, a lot of the videos are not complete. They do use elements of the Budwig diet, but they are not the original diet. And, so, therefore, in the video we put out you can see exactly how to do it. Now, Lothar, we, then decided to offer the original Budwig diet, and the complete Budwig protocol in our program, in our 3E centre. What was the decision to go for that one? We could have also picked Gerson, we could have also picked macrobiotics. What was your thinking, to put more focus on Dr Johanna Budwig’s diet? Lothar: Well, for me, there are two main reasons: The first of course, is that I met Dr. Budwig personally, I had the big luck that I could work with her for so many years. And here of course the most important thing for me or what impressed me most was that I saw all the patients. I saw all the survivors. I could talk to them and I saw all the letters that survivors wrote to Dr. Budwig for such a long time. So, this was one reason for me. The second reason is, first I would like to say here also: I like the Gerson therapy. I met many people who did the Gerson therapy and they became healthy. I also know, a lot people, who did raw food therapy, and this was helping them. I also met a few with macrobiotic, but the most cancer patients I met used Gerson and Budwig. But you know, there is one, big advantage which is much better in the Oil-Protein diet in comparison to Gerson, or macrobiotic or raw food and this is that the Budwig diet is closer to the way how people normally eat. Because in the end, it is a vegetarian diet, plus of course, this special lipoprotein, that people have to mix and eat. So just to give you an example, maybe with regards to the Gerson diet. You know you drink 13 fresh juices every day, but this is something which is far away from how people would normally eat. But in the Budwig diet, if you are not a pure meat eater, the way how you eat there, the way how you cook, the things you are allowed to eat, is so close to what we normally would eat in Europe or in America or in Australia. I would say, this is helping a lot of people. I want to give you another example. I was in Saigon, in Vietnam, a few years ago, to meet a Budwig group there. And you can imagine how people are normally eating in Vietnam, it’s so far from what we are eating in Germany. But, it was not a big thing for this group. These people – by the way, they learned it in Singapore in a hospital, which is also a very interesting story, because the father of one of the lady who found this group, was in a hospital in Singapore. And in this hospital, believe it or not, they did the Budwig diet! So sometimes it’s really strange where you can find a Budwig diet. So anyway, in the end, even people, who are very far away from a normal vegetarian diet, like Budwig, and they can do it. And this I think is the big advantage of the Budwig diet compared to Gerson or macrobiotic, or Bircher or raw food. It’s not only, that they all have great cases, there is no doubt about it, but, I think to learn the Oil-Protein diet is far easier than Gerson and macrobiotic. Klaus: I think that’s why we decided to implement it. I think also for everybody out there, there are a lot of people who are really keen to learn more details about the Oil-Protein diet, and, and I think it’s just a very good timing, because Lothar has just finished his two books: firstly, the Oil-Protein diet, where Lothar explains the Oil-Protein concept, plus the Oil-Protein diet cook book. They are both available now in English. 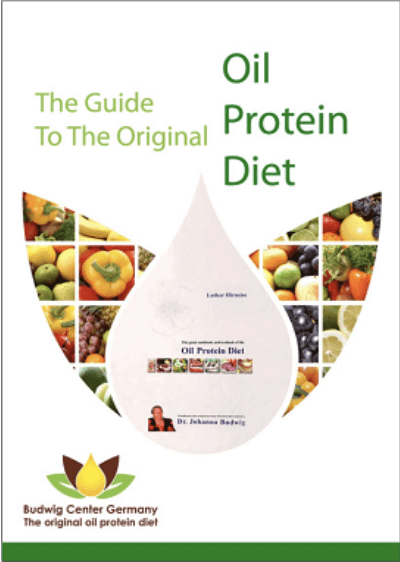 http://www.shop.taolluc.com/product/the-great-cookbook-and-textbook-of-the-oil-protein-diet/; there you can buy the online book, it is an e-book. And also please, if you’re out there and you have questions about the Oil-Protein diet, I think the only living pupil is Lothar and myself. So please, contact us, and if you have questions, we’re very keen to help and support you, because we believe that the original Oil-Protein diet needs to stay original to have the most benefit. So, therefore, we are keen supporters of that. Lothar, thank you very much for sharing today your thoughts about cancer diet, and a bit more specifically, about the Oil-Protein diet from Dr. Johanna Budwig. Thank you very much for all the listeners listening in today. We appreciate it very much, your interest, and see you and speak to you in the next podcast. Bye from Klaus. Lothar: And bye from Lothar.